I’m late sharing this! With birthday week last week, I totally forgot! 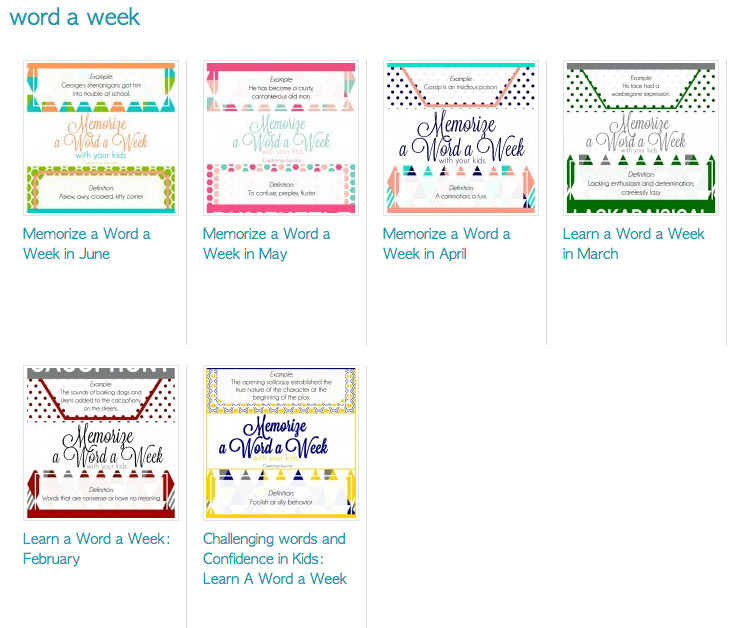 Thanks to a few nudges from friends out there, who are loving the words of the week. If you aren’t familiar, I’ve shared 5 words each month. It’s a way to have fun together as a family, learn, and boost confidence in kids as you go. Read more about it on the first post, if you still aren’t convinced. 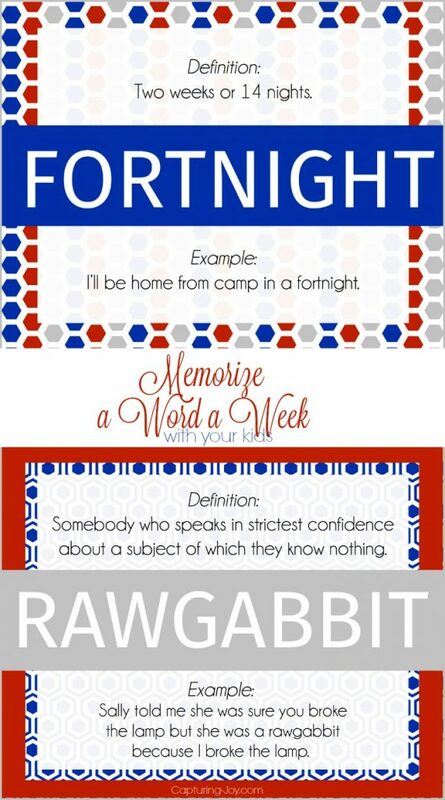 For now, here are your 5 to Memorize a Word a Week in July! Here are some thumbnails of past words of the week. See them all on the link.